Mike Skinner knows that buying tomatoes in the wintertime can be a dreary, disappointing endeavor. With the consistency of a nerf ball and the taste of wet cardboard, they’re the bane of any vegetable lover's existence. But his new agrotechnology business promises luscious, summer-quality beauties year-round – grown hydroponically, no less. 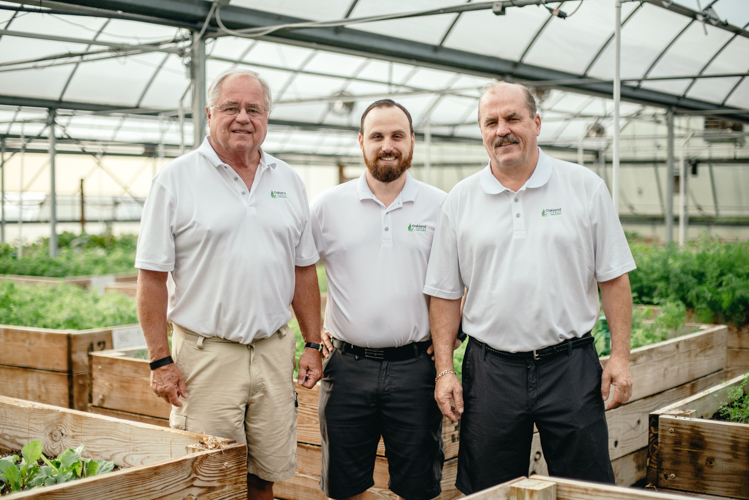 Skinner and his partner, Bruce Ellwanger, a sales veteran from Clarkston, launched Oakland Urban Growers in October 2017 at the site of the former Ernst Greenhouse in Waterford. Skinner is a long-time entrepreneur who ran unsuccessfully for Royal Oak mayor in 2017, while Clarkston resident Ellwanger has spent his career in sales. Oakland County Parks and Recreation acquired the five-acre parcel in 2009 with the idea of growing its own flowers and plants for the county. But the project just didn’t make economic sense, said Mike Donnellon, the department’s chief of park facilities, maintenance, and development. So, the county mothballed the site’s 11 greenhouses and six outdoor hoop houses while deciding its next steps. “There was not a ton of interest” to a request for proposals to rent the facility, Donnellon said, and he figured the greenhouses would probably be sold and relocated to a new site. 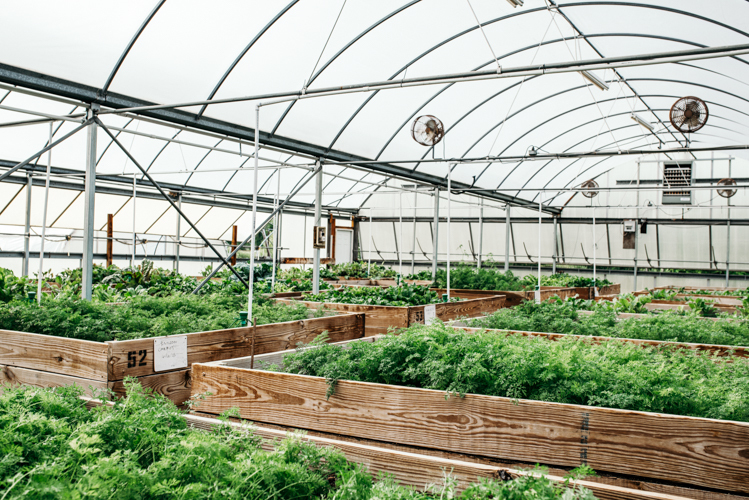 Enter Oakland Urban Growers, which ultimately negotiated a 10-year lease with a 10-year option for the greenhouses and the residence on the site, The company reimburses the county for natural gas and electric costs. Ellwanger, who had the idea of doing aquaponics on the site, was introduced to Skinner by a friend of a friend. After some research, the men decided that aquaponics – which involves raising fish and using their waste as nutrients for plants grown in water – was too risky. But hydroponics, in which plants are raised in water instead of soil, seemed feasible. After spending more than $200,000 on an automated water system and complete climate control that monitors heat, light and humidity through their cell phones, the operation launched in October 2017. Everything, Skinner said, is pesticide-free and grown from heirloom seeds, an idea he credits to longtime local chef Jake Abraham. 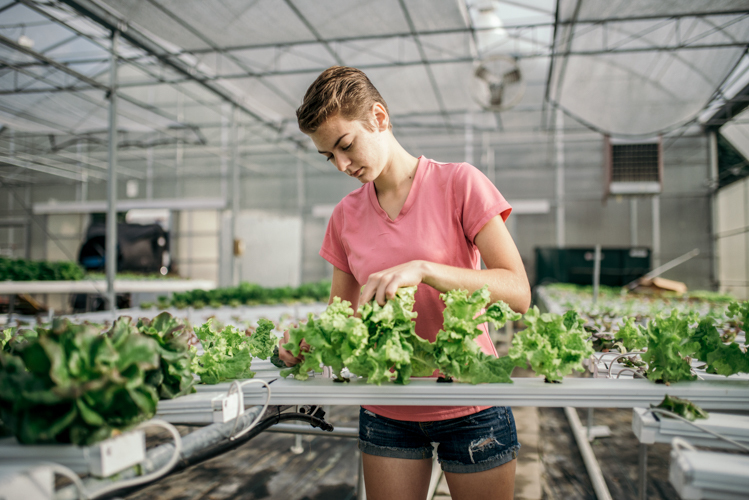 That includes microgreens, herbs and cherry tomatoes, all grown hydroponically thanks to a high-tech plumbing system, and baby vegetables like beets, carrots and radishes grown in soil with sophisticated irrigation techniques. “We don’t grow the typical stuff you see at the grocery store,” Skinner said, pointing to such items as butterhead speckled lettuce, dwarf pac choy, red scarlet kale, wasabi arugula and cherry tomatoes that are downright scrumptious. Other future plans include having classes from Oakland Schools tour the facility to learn about hydroponics, something conservation groups and students from Dorsey Culinary Academy have already done.